A peak-bagger's trip over the beautiful Glenbeigh Horseshoe, starting and ending in Glenbeigh village, with plenty of time allowed for filming. 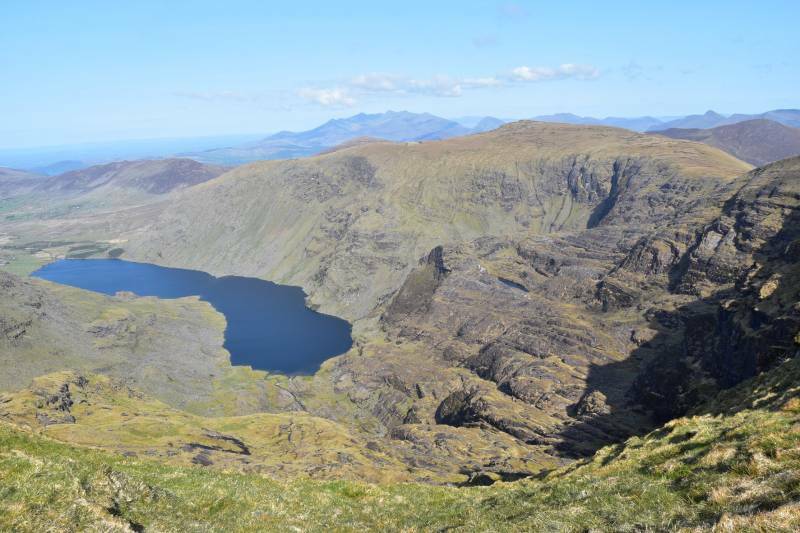 The fantastic views from the lower tops become massive when you reach the high ground, especially along the cliffs and on the narrow ridge to Keemconneragh. 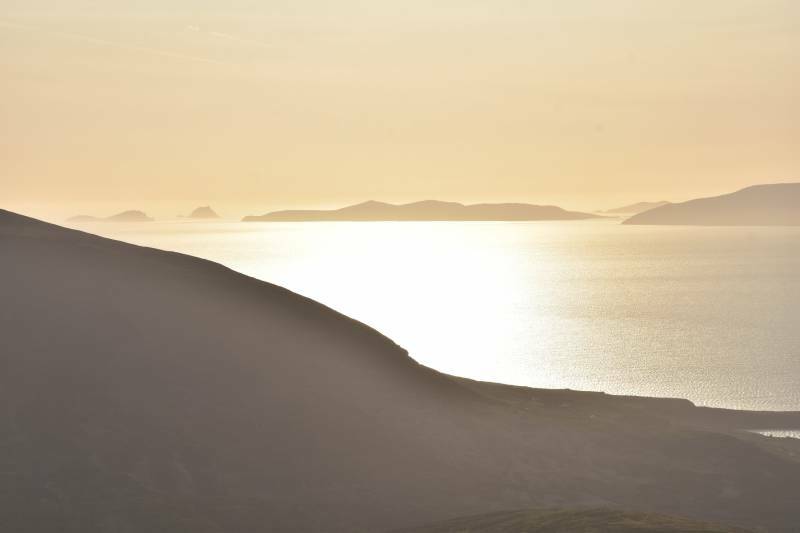 Brilliant timing as I could enjoy the sun slowly setting over Dingle Bay as I made my way between Been Hill and Drung Hill. 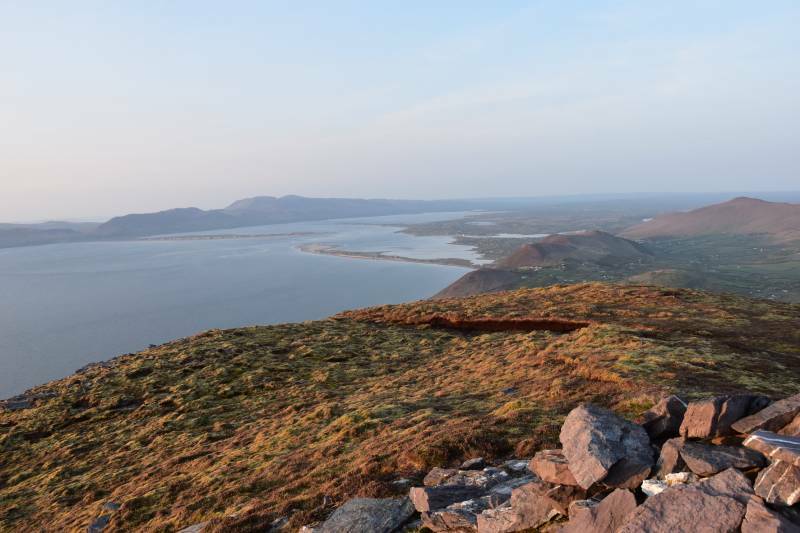 Inch Peninsula and Dingle Bay as seen from Seefin. 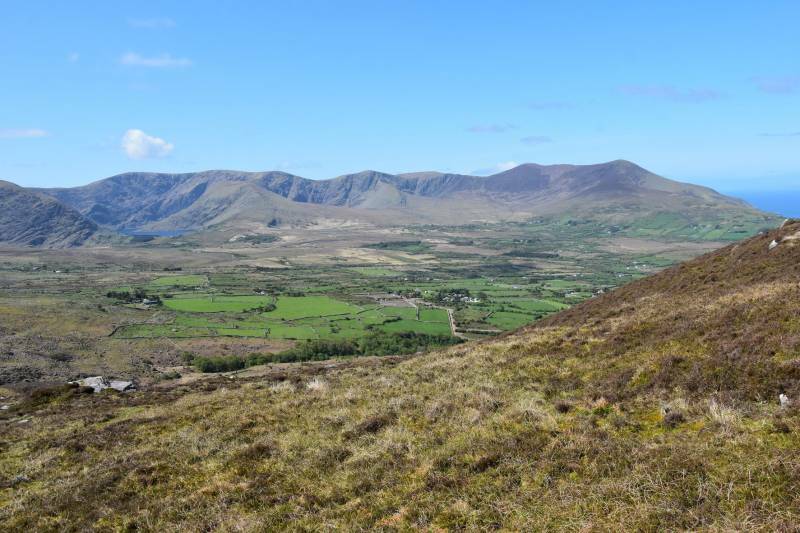 The second half of the Horseshoe, from Coomacarrea to Drung Hill, as seen on the way down Coolroe. 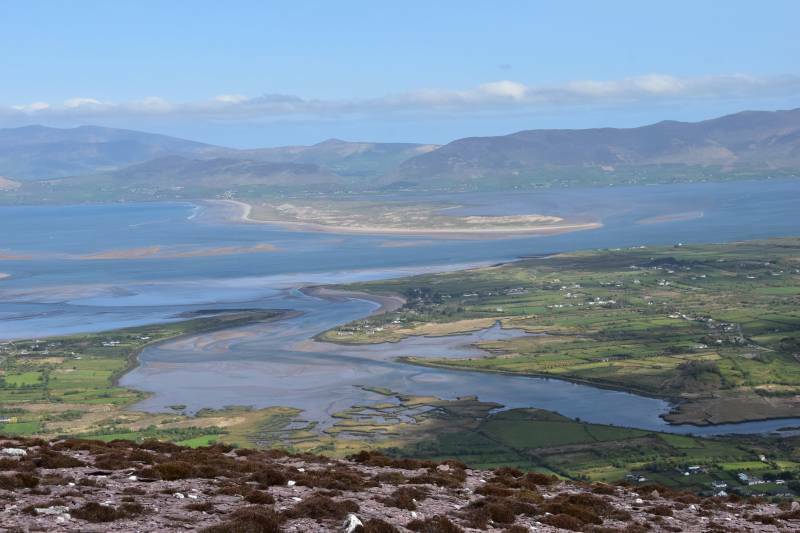 The cliffs between Meeteog and Coomacarrea, with the Reeks, Broaghnabinnia, Stumpa Duloigh, Mullaghanattin and Colly in the distance. Zoom on Great Blasket Island, taken between Been Hill and Beenmore.